Yantras are geometric symbols that contain the specific energy of a planet or deity. Each Yantra imparts a healing energy that you can harness in your life. Yantras come from Northern India around 2,000BC. They are from the tradition of Tantra which gave rise to Mantras (audible sounds used for healing) and Yantras; their visual counterpart. Working with Yantras connects you with these ancient teachings in a way that provides great healing in today's world. Yantras remind us of the places in ourselves we have forgotten, like our greatness, our capacity to love, our strength, or effortless abundance, and they mirror back to us their positive qualities, thus we are whole again. Healing = Wholeness. How can Yantras help me? Are you wondering 'what's in it for me?'. If you are drawn in by these hypnotic symbols, then perhaps there is indeed something in it for you. This is a visual form of meditation where the symbol itself provokes a healing response. It is a remedy, it is also a doorway into the cosmos. If you are drawn to this Yantra seen here to the right of this text for example: the Sun, it may be that you are feeling 'Sun Deprived' lately or that your life is heading in a more 'Sunny' direction and this Sun Yantra will give courage and acceleration to your life's path. Whichever area of life you feel stuck, or stagnant in, or if there is a place where clarity is obscured in some way then yes help is at hand! There is a Yantra to bring light to the situation. From relationship challenges to creating a clear focus on your spiritual path, Yantras can help you prosper again. How Can I Work With Yantras? Use the Yantra Bliss Oracle Deck as a daily centering practice while learning about the meaning of each symbol within the card deck. Begin Drawing Yantras as a way to embody their shapes and colors and healing effect. 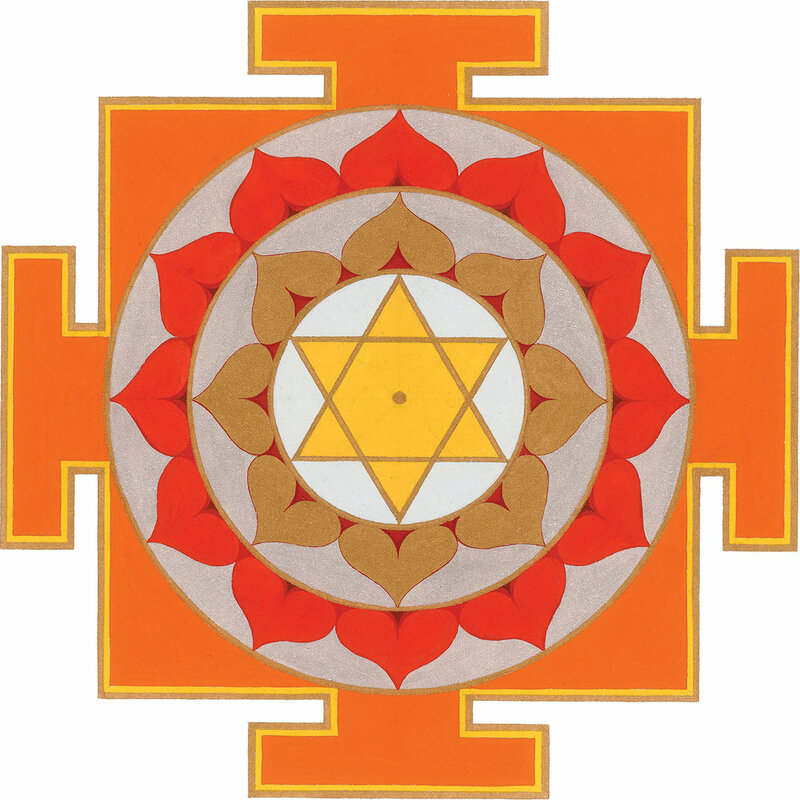 Color Yantras as a form of meditation and feel the enriching benefit each Yantra offers you. Work in tandem with counseling sessions with Sarah to gain clarity of purpose in your life and commit to your spiritual daily practice with Yantras. See the positive support each Yantra offers you as discover your life purpose and respond to your true calling.